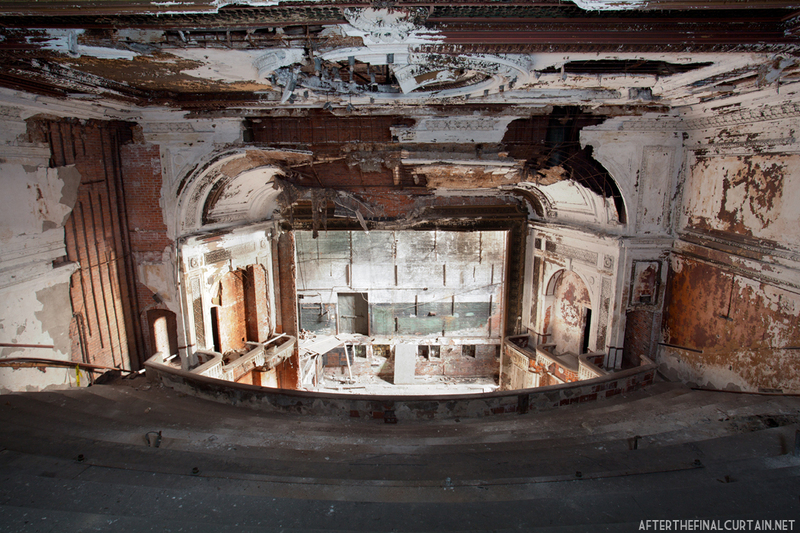 The National Theatre opened on September 16, 1911 in Detroit, Michigan. 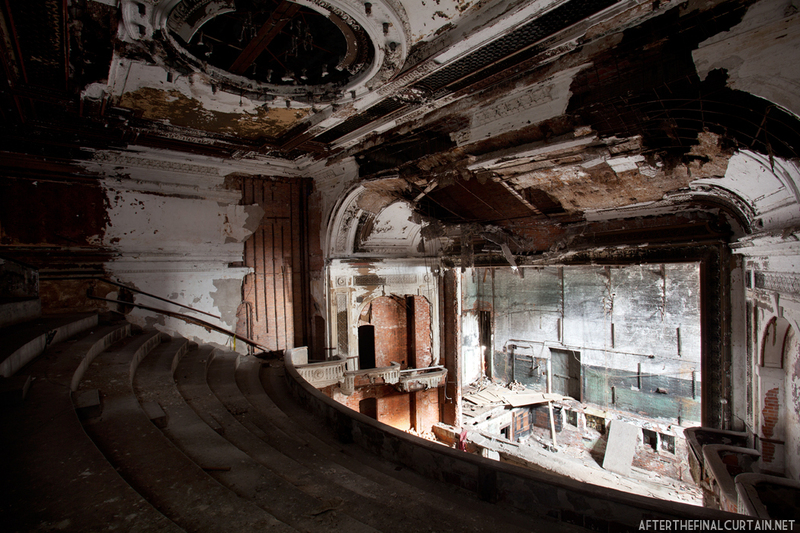 Designed by Detroit architect Albert Kahn (who designed so many buildings in Detroit that he was nicknamed, “the architect of Detroit”), the National is noted as his only theater and is the oldest surviving building from the city’s original theater district. Built in the Art Nouveau style, the exterior of the building is covered with terra cotta from Pewabic Pottery, another Detroit landmark. Much of the plaster work has broken away since the theater closed. Like most theaters in the early 20th century, the National opened as a vaudeville house and later switched to showing films. 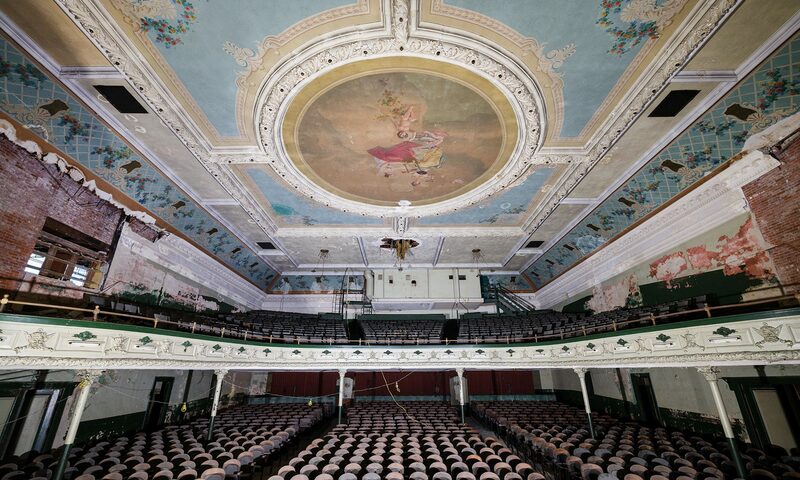 However, the 800 seat theater could not compete with the larger movie palaces that were built nearby, and switched to showing burlesque accompanied by a live orchestra by the 1940’s. With the change in entertainment came a name change, to the National Burlesk Theatre. The foyer of the National Theatre. In the early 1970’s the National was renamed the Palace Theatre and started showing pornographic films. It later closed in 1975. That same year, the National was added to the National Register of Historic Places, along with some other buildings on the street. 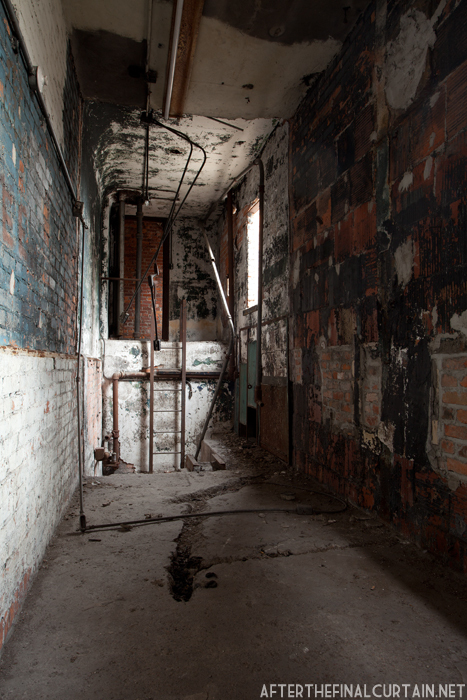 They were collectively known as the Monroe Avenue Commercial Buildings, or the Monroe Block. 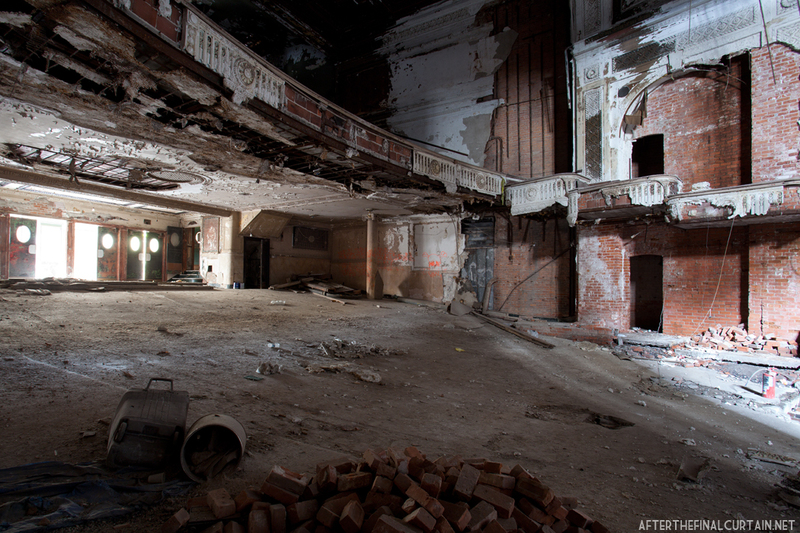 The theater changed hands several times in the late 1970’s and early 1980’s before the City of Detroit seized the property due to back taxes owed. 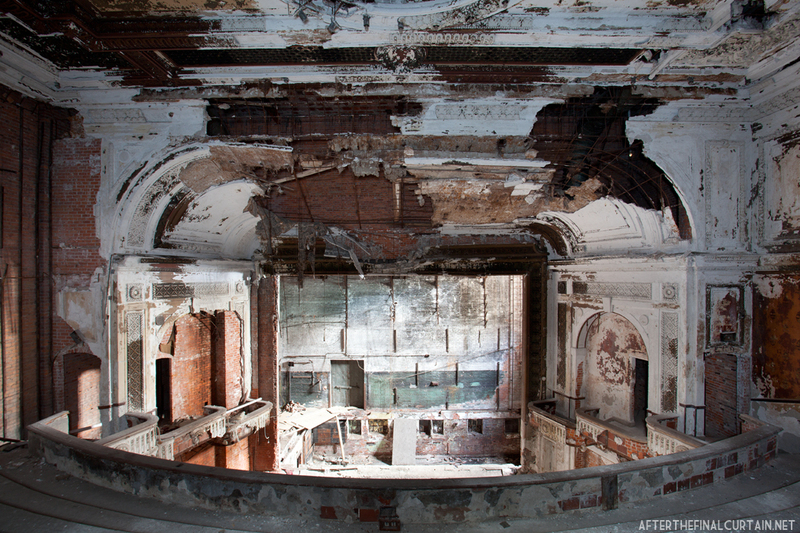 All the other Monroe Avenue Commercial Buildings were torn down in 1990, leaving the National Theatre as the only surviving member of the Monroe Block. 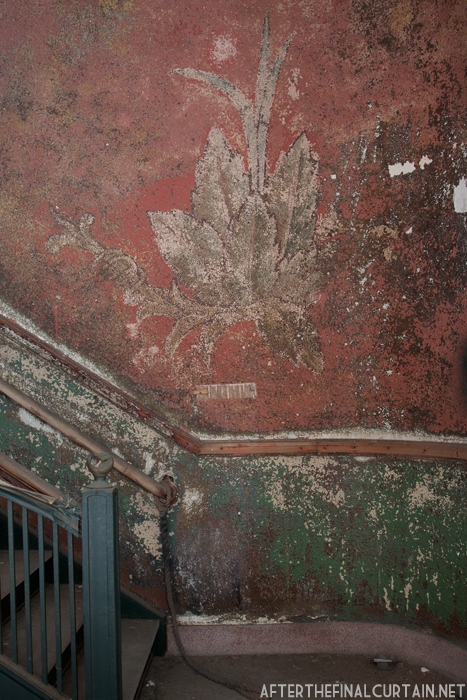 A close up of a painting on the wall of the foyer. 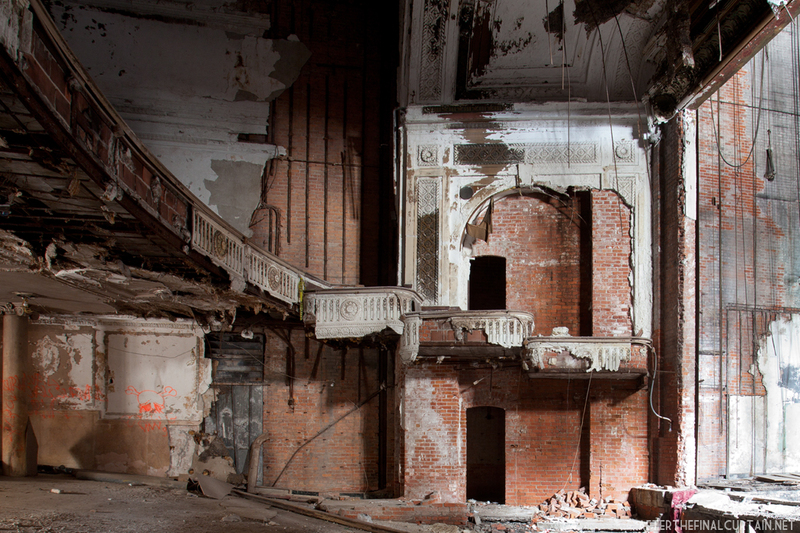 There have since been several proposals to renovate the theater, including one that would turning it into a dance club and another an African-American film museum, but neither of these came to pass. 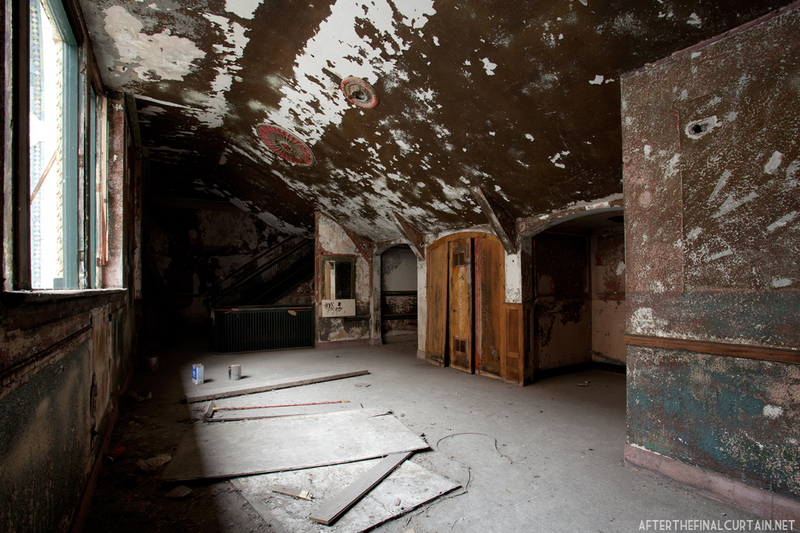 Anticipating the restoration of the building, the interior of the theater was cleaned out by a local preservation group in 1998. The National is scheduled to be demolished, and a parking lot will be constructed on the site. 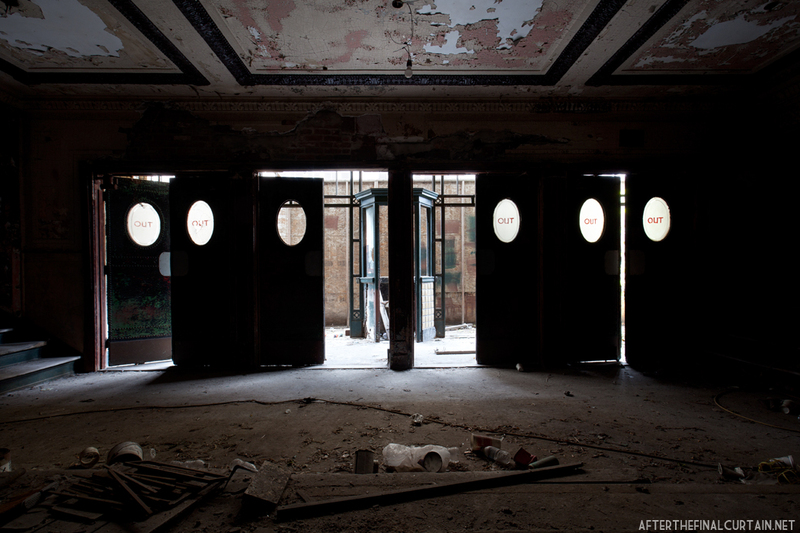 The seats were removed when the interior of the theater was cleaned out in 1998. 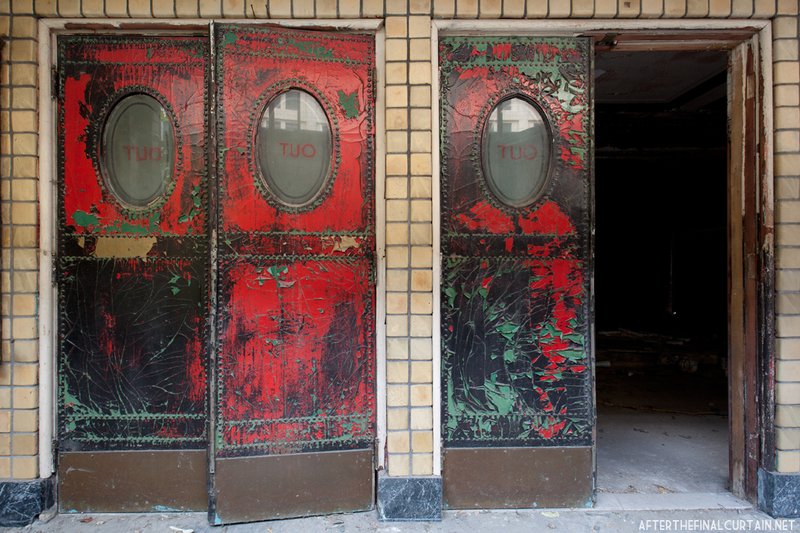 Most of the original doors remain intact. View of the main level of the auditorium. Nothing remains in the projector room. A closer look at the exit doors. View of the exit from the side of the stage. these doors from the dark inside… impresive! The photo of the doors knocked my socks right off. Wonderful. Such an awesome architecture. What a shame it’s ruined now! I’m designing the set for Follies, to be performing in Cambridge, UK next month. 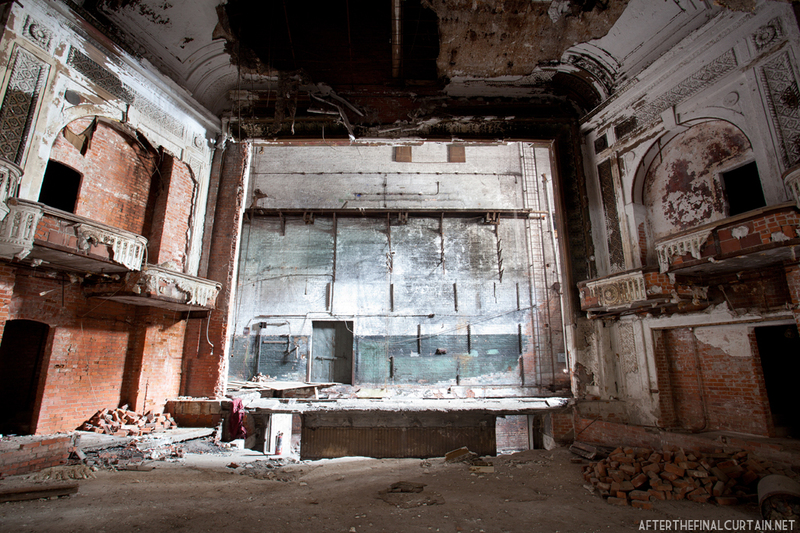 Your blog and particularly the photos of this theatre, are inspirational – so beautiful and sad at the same time.